Sarah Paré works as a therapist and life coach with PCS-Counseling. She uses her warm and inviting conversation style to create an atmosphere that will help promote opportunities for growth and development. Sarah uses a wide variety of techniques that can be tailored to the client depending on their need. She uses Motivational Interviewing, Talk Therapy, Cognitive Behavioral Therapy, and Interpersonal Skills Training. She has a special ability to meet the client where they are at and gently help them incorporate the changes they wish in their lives. She received her bachelor’s degree in both Intercultural Studies and Psychology from Olivet Nazarene University. She earned her master’s degree in Counseling from Spring Arbor University. She has worked in residential and outpatient settings for substance abuse, assisted client’s that have had DHS involvement doing family and individual therapy and community mental health. Sarah has had experience working with children, teens and adults in a wide variety of settings. Sarah specializes in working with individuals that have anxiety, depression, trauma, substance abuse, relationship issues, family systems, intimacy concerns and major life transitions. Sarah has years of experience in helping others reach their desire for personal growth and achievement. She is passionate about meeting people where they are and helping them heal in order to grow and make life altering changes. She is available for counseling throughout the work week. Sarah is available for both short and long-term work. She has some availability for therapy sessions on a sliding scale fee if needed. 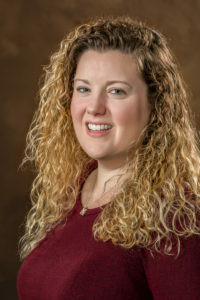 Check out Sarah’s Profile on Psychology Today – Click Here!